you are buying EG-SF104 with one built-in Battery and on/off switch, it comes with a separated solar panel instead of integrated one. The battery life-span is depends on how often you use it, if you switch it on all the time, it keeps charging and discharging, it will dead eventually after 1 year or 2, if you don’t change a new battery, it still can work on the sunlight. 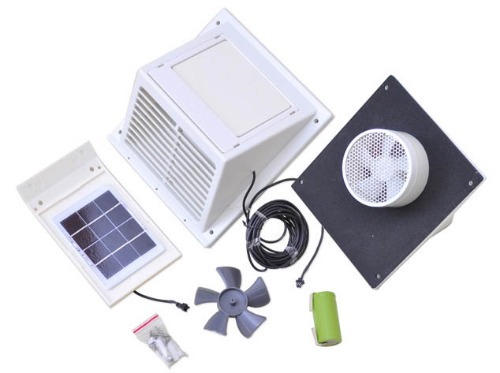 Most solar wall fan in the market is not able to change its battery but ours can be changed very easily, we also supply batteries for this model. Extra battery is $10. Telephones Boxes, Temporary Site Accommodations and container, etc.